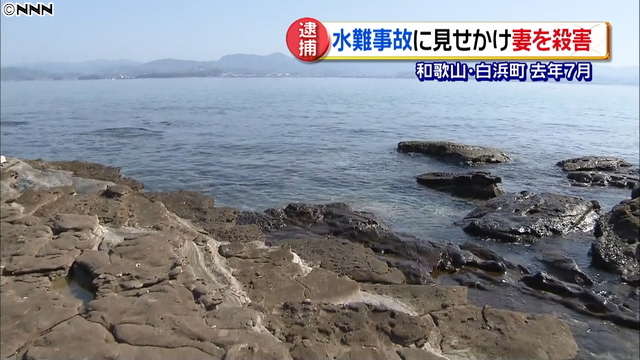 WAKAYAMA (TR) – Wakayama Prefectural Police have arrested a 29-year-old man over the murder of his wife during a diving excursion in the town of Shirahama last year, a case that he framed as an accidental drowning, reports the Yomiuri Shimbun (Apr. 20). 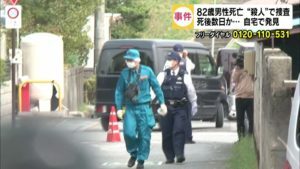 On the afternoon of July 18, Takashi Noda, a driver living in Osaka City’s Tennoji Ward, allegedly killed his wife, 28-year-old Shiho, by forcing her head under water to the sandy shoal below during a snorkeling trip about 50 meters from shore in the town of Shirahama. Noda, who has been accused of murder, has declined to comment on the allegations. According to the Shirahama Police Station, Noda staged the incident so that it would appear to be an accident. “I went to the toilet for about 10 minutes, and when I returned [she] was floating [in the water],” the suspect said at the time. After the incident, the suspect pulled the body of his wife up to a rocky shore and alerted a lifeguard. The woman was subsequently transported to a hospital in a state of cardiac arrest. She died two days later due to brain damage from lack of oxygen. 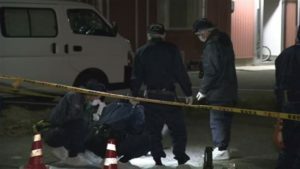 Police launched an investigation after the emergence of several suspicious details in the case. First, doctors discovered a large quantity of sand in Shio’s body while she was in the hospital. Further, she possessed a diving license, which would make accidental drowning unlikely on a day when there were no records of big waves or strong wind. The couple married in 2015. During interviews with the suspect, police learned that he and his wife were considering divorce due to financial trouble and problems connected to his seeing other women.